The Durango Fire Protection District is proposing an impact fee on new development to help pay for capital-improvement projects associated with a growing community. The proposed fee would cost $1,183 per new home and $1.72 per square foot for nonresidential buildings, including businesses. If future growth projections hold true, the fee would raise almost $24 million over 20 years. “We’ve got some drastic current and future needs for capital expansion,” Chief Hal Doughty said. The fire department will present its plan at 5:30 p.m. Tuesday at Durango Fire Station No. 1, located at 142 Sheppard Drive in Bodo Industrial Park. “We want to give the public an opportunity to hear what it is that we’re doing and have a process by which they can comment on what we’re doing,” Doughty said. 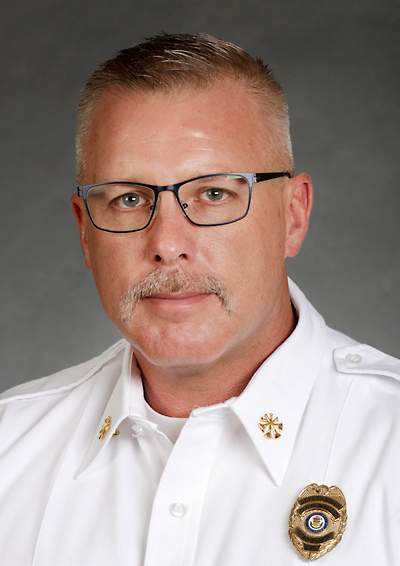 The Colorado Legislature passed a bill last year allowing fire districts to charge impact fees to assist paying for capital development of fire and emergency medical service resources to accommodate community growth. Durango Fire Protection District completed a study and formulated a “rational nexus” – a cost-accounting method to determine what impact future development has on existing resources – to propose a fee. It also has been working with Durango city councilors and La Plata County commissioners on a fee structure. The two boards must approve the impact fee. It does not require approval from the voters, Doughty said. For the most part, the department has received positive feedback from developers, including those in Three Springs, Edgemont Ranch and Twin Buttes, where much of the new development is occurring, Doughty said. There’s a common perception that impact fees can slow development and stunt growth, he said. But Three Springs and Edgemont Ranch have had fire-impact fees for many years, and they are two of the biggest growth areas in La Plata County, he said. “The data just doesn’t support having an impact fee stunts the growth of the community, whatsoever,” he said. During the last seven years, the department has experienced a 7 percent increase in call volume each year. The rational nexus study shows growth of the community is concurrent and proportional with the call volume being experienced, he said. The fire district lacks a funding mechanism to compensate for capital-improvement projects. It gets about a third of its revenue from property taxes, a third from a contract with the city of Durango, and a third from EMS services and grants. But all money goes toward operations; there is no revenue stream left over to improve fire stations or replace equipment, he said. The impact fee is expected to raise only 45 percent of the more than $53 million needed in capital-improvement projects over the next 20 years, he said.